Zimmerman lived in a neighborhood where there had been a rash of home burglaries. Zimmerman saw someone acting in a suspicious manner near the homes that had been burglarized. Zimmerman called the police, and followed the suspicious person in order to tell the police where he went (I did this with someone I suspected of driving drunk once). Martin initiated the physical confrontation by punching Zimmerman in the nose. While being assaulted, Zimmerman drew his gun and shot Martin once, killing him. Those are the facts that have been established. Now we get to the racism opinions. I don’t believe Zimmerman is a racist. This article does not paint the picture of a man with hatred in his heart for people with black skin color. There is also the fact that Zimmerman has been described as a “white man.” From what I have been able to learn, his father is “white,” his mother is Hispanic, and his mother’s grandfather was black. He is just as much of a white man as Barack Obama. 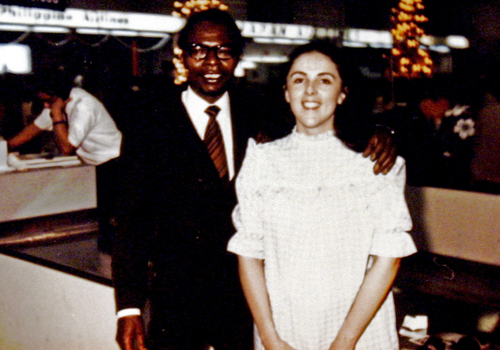 Obama’s Parents: one white, one black. 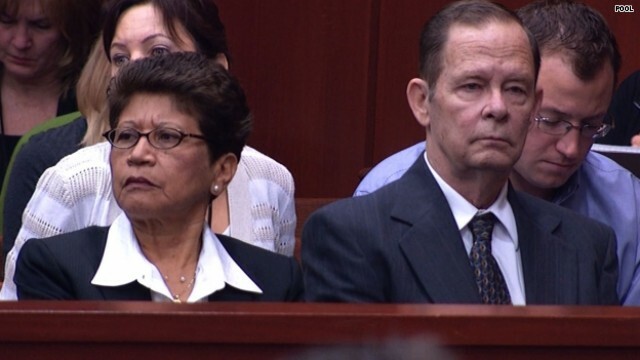 Zimmerman’s Parents: one white, one Hispanic. I have heard people wonder, “What would have happened if Zimmerman had not been armed?” None of us will ever know, but I would hazard a guess that Martin would have continued to pummel Zimmerman, and we would be talking about the conclusion of the Martin trial where Martin had just been found guilty of 2nd degree murder of one George Zimmerman. And my guess is that there would be no riots or protesting if Zimmerman had been found guilty this past Saturday. What does that say? To those of you who are outraged about the “racism-based slaying of Trayvon”: before you accuse Zimmerman or the six jurors of racism, ask yourself this question: would you be as up in arms about this case if Martin were white? If your level of outrage would be different, then you, my friend, are racist. EDIT: Here’s another article, which, unbelievably for Slate.com, is incredibly factual and to the point. This entry was posted in News, race, trial. Bookmark the permalink. Again, you are so right on!!!!! I agree. The other thing I noticed was that almost every time the media refers to the defendant in this trial, they call him “Zimmerman” and every time the media refers to the victim, they call him “Trayvon.” They never refer to them as George and Martin. They are always Zimmerman and Trayvon.